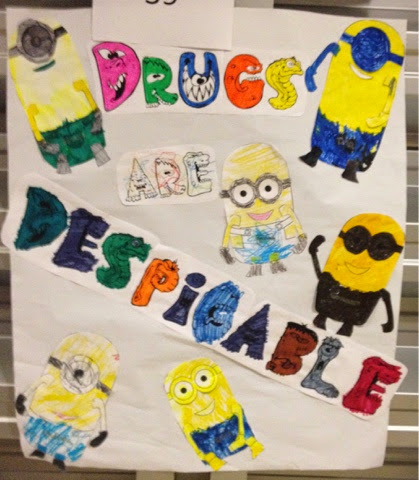 Anyone else doing red ribbon week activities this week? We are at my school and I like to have my students participate in at least some of the activities. I think it's a winner, we shall see on Thursday!!! For the rest of the week, I'll probably just pull out a few worksheets from my Red Ribbon Week binder I was given years back and then next month we will spend more time talking about Drugs/Alcohol as it is the November ULS topic. Which I am still trying to figure out, but am getting there, I think!